The world is already dipped in the ocean of love, as it’s February 14- the day of every romantic. From fresh bouquets of roses, heart-shaped chocolates to greeting cards with love-filled messages, people are pouring their heart out and openly declaring of how much they love their partner. The air of love is even flowing in Hollywood, and some of the famed celebrity couples are making the occasion even more special. In honor of Valentine’s Day 2016, we’ve complied a list of seven most enviable couples that the world can’t get enough of. They have had their shares of ups and downs, but still going strong. 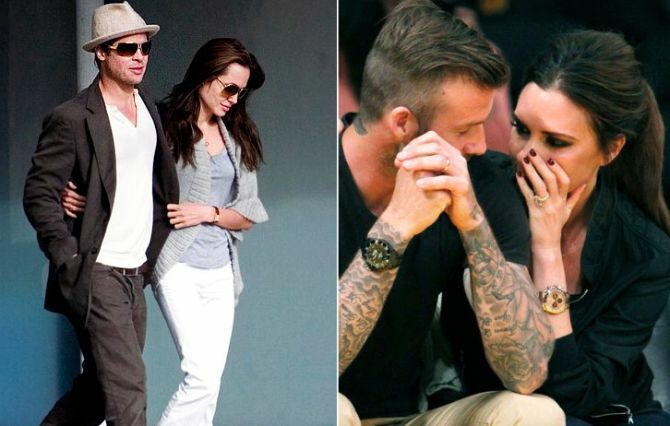 Have a look at at these adorable celebrity couples of all time. While a lengthy Hollywood romance lasts about few months or years, there’s the couple- Tom Hanks and Rita Wilson who have been married for more than two decades. The beautiful couple is still going strong and showing the world what true love really is. Hence, this pair is rightfully the celebrity world’s perfect couple. This power-couple has set the trend of portmanteau couple name after ‘Brangelina.’ Their love is so strong and addictive that even after endless controversies and scandals they’re still together. They fell in love with each other on the sets of ‘Mr. 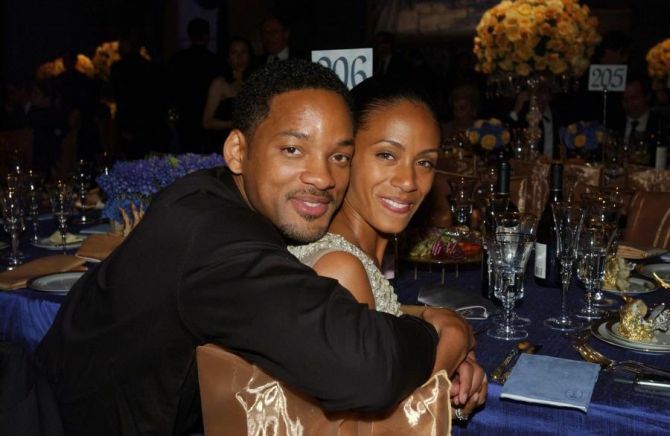 and Mrs. Smith.’ Now, after a decade with their six children- they are still making people envious of their relationship. Manchester United’s footie David Beckham and his wife Victoria Beckham (fashion designer) are together since 1997. Both stars in their own right are one of the most popular celebrity couples. There were speculation for months, with several sources hinting at the couple getting a divorce. But the couple shooed the tittle-tattle this Valentine’s Day, accompanying each other. 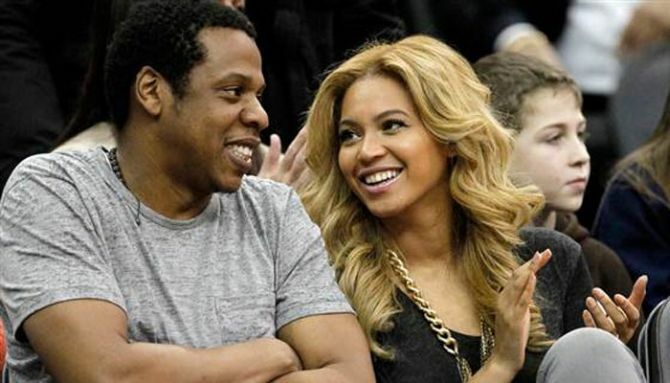 Another most popular celebrity couple on the planet is Shawn Corey Carter (Jay Z) and Beyoncé Giselle Knowles. They first clapped eyes on each other in 2001, after one year they teamed up for a hit track Bonnie & Clyde. After sometime, they openly declared their relationship and are still madly in love with each other. This Hollywood couple is an inspiration to everyone in love and those who believe in the power of love. They have been married since 1997 and even gracefully muted divorce rumors for a really long time now. With their three kids, the wonderful couple still looks adorable and perfect as ever. 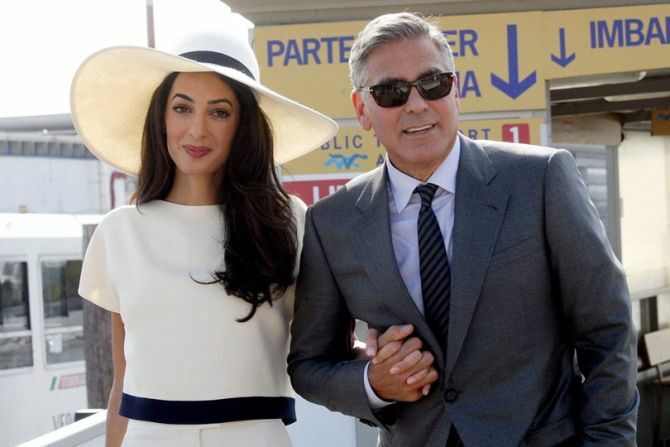 The silver fox of Hollywood and world-famous human rights lawyer Amal Clooney married in September 2014. They first met in Italy, but they weren’t spotted in public together until last October in London. Although George had said he would never get married after his first failed marriage. But the entire world was surprised when he proposed Amal and soon after the proposal they happily got married. 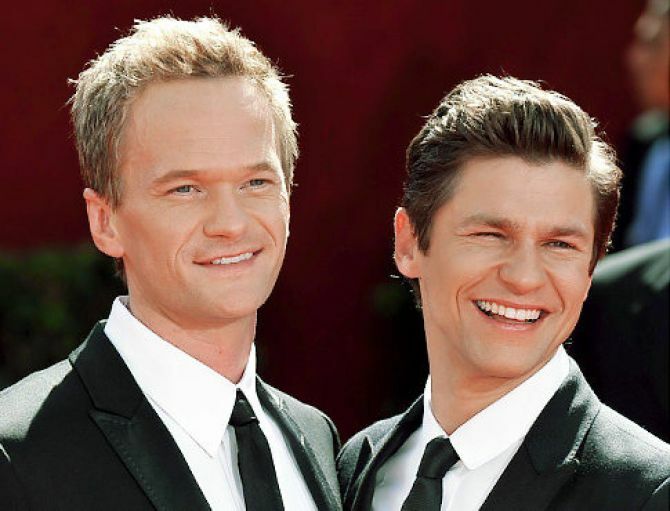 The most loved ‘How I Met Your Mother’ star Neil Patrick and his husband David Burtka started dating in 2004. They got married in 2014 in Italy- HMIYM director Pamela Fryman officiated the wedding and even Elton John performed at their reception. They have two beautiful children via surrogacy, and the family is extremely popular with huge fan-following. Plus, the couple is absolutely Legen….. wait for it…. Dary !